“All this cheap crap is made in Japan”, definitely. While Japanese products were starting to become everyday by 1969, the general opinion was that they might be good for the price, but not much more. That didn’t turn around for another ten or fifteen years. In the 60’s, good radios or TVs came from RCA or GE or Zenith or Motorola, or maybe the exotic Blaupunkt from Germany. The best cameras were still Leicas and Rolleis from Germany, or, of course, all-American Kodaks and Graphics. Computers took up entire floors of business buildings (no one had their own computer), and they were IBMs or Univacs or the new-fangled DEC PDP series. If you’d even seen a Japanese car in the 60’s, it was a tinny little “rice box”, as we called them. I had a friend who worked for a radio station in the early 70’s and got a Subaru instead of salary (Subaru couldn’t afford advertising, so the station couldn’t afford to pay him). That was the first any of us had even heard of Subaru, and he was furious. Yea, Japanese quality didn’t come in until the mid-70s with cheap, reliable cars, and good quality sony equipment. Also interesting is how this sentiment has evolved. First it was “all this cheap crap is made in Japan,” then “all this cheap crap is made in Taiwan,” and now “all this cheap crap is made in China.” I wonder what will be next. Doc: No wonder it didn’t work, this piece of Junk says made in Japan. Marty: What do you mean? All the best stuff comes from Japan. “All this cheap crap is made in Ohio”? @ Stephen Edwards & Toronto – Bangladesh, Vietnam will be the cheap crap centres of the near future I believe. 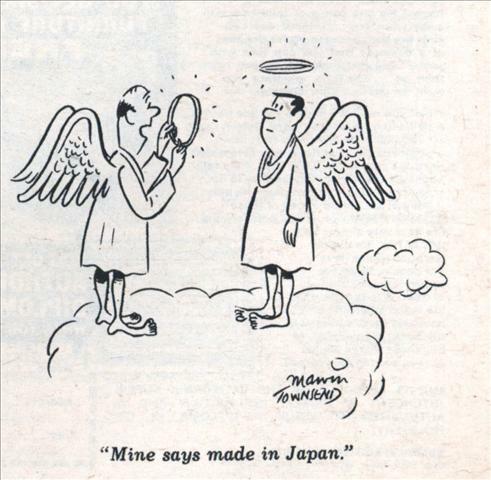 In the late 1930s, Japan was counterfeiting products at lower costs than the genuine items. Maybe Santa will bring me a mount for my camera. 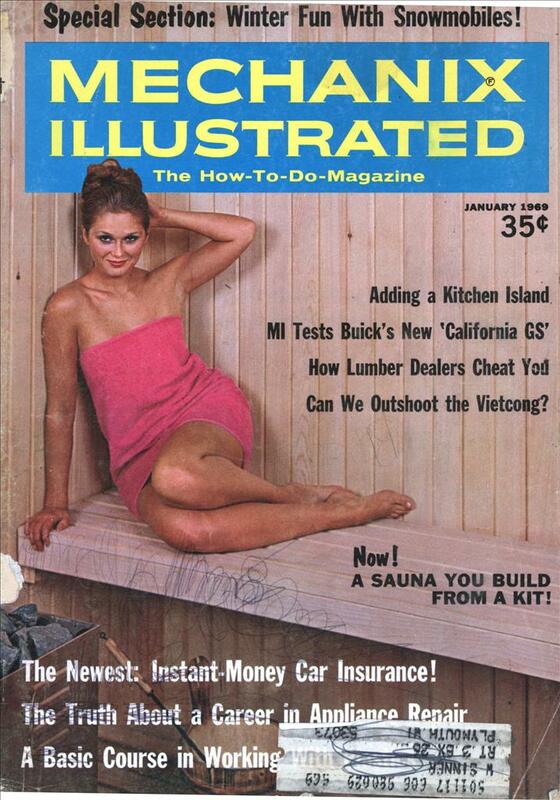 The magazine is too large for the scanner.